Rebecca Hilary Smith with her friend and colleague Laura Zaerr hold biannual harp retreats at Suttle Lake Methodist Camp. These popular retreats feature guest teachers, workshops with Becky and Laura, great food, natural beauty and the camaraderie and sharing of learning in a group environment. The retreat is now full. If you wish to be put on the waiting list and contacted in the event of a cancellation, please fill out and submit the registration form. This year will be a special one because we will have multi presenters, providing an even richer experience than usual. We will have one of our favorites, Kim Robertson, returning yet again. She is a much-sought-after workshop leader, and so her material is always honed, well thought out and presented. Her humor helps put participants at ease even as she offers material that challenges each person to stretch out of their comfort zone. For something completely different and wonderful, we have brought in Oregon’s own Phil and Gayle Neuman, who are world class experts in early music (including VERY early) of all kinds. They are both fabulous musicians, each in their own right, as well as experienced teachers and dedicated scholars. Of course, Laura and I will also lead some of the workshops, on topics that tickle our fancy. Kim Robertson is a well-known performer, arranger and pioneer of the North American folk harp movement. Classically trained on piano and orchestral harp, her discovery of the Celtic harp in the mid-70’s set her upon the path of exploration for which she is now widely known. She brings a contemporary touch to a centuries-old instrument with her expressive renditions of traditional music and original compositions. Recognized as a skilled performer and insightful teacher, her numerous recordings, arrangements and live appearances have brought her a loyal following. She regularly tours the USA and Canada with an international itinerary of concerts, workshops and retreats. Retreat. They will also lead harp ensembles incorporating their own brand of Renaissance style. We are looking forward to this “historic” collaboration; Folk Harp Meets Early Music. Laura is an Oregon native who grew up in Corvallis. She attended the University of Oregon where she was a student of Sally Maxwell, then went on to attain her Masters in Performance at Eastman School in Rochester, NY. Over the years she has recorded a fantastic variety of albums, spanning all kinds of genres and historical periods, in addition to collaborating with other musicians and creating a continuous stream of compositions for the harp. 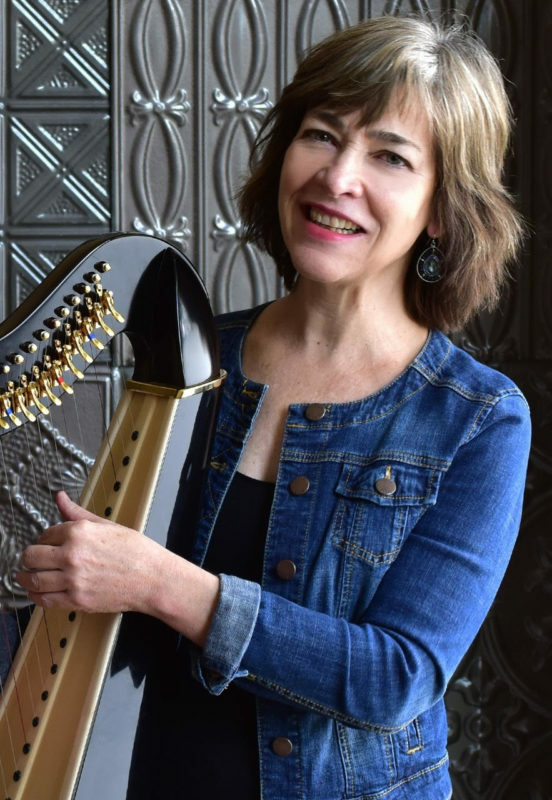 She is currently head of the Harp Department at the University of Oregon and was instrumental in establishing a performance degree in Lever Harp. She also is the chief Cheesecake Engineer at the retreat. Rebecca is an Oregon native who grew up in Bend and Sisters (mostly). 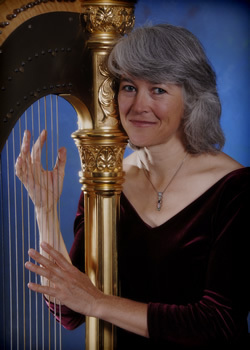 She earned her music education degree at the U of O, where she began her studies of the harp under Sally Maxwell. After some years of teaching as a music specialist in public schools interspersed with additional graduate education, she wound up somewhat by accident in Honolulu, Hawaii. There she embarked on her current career as a teacher and freelance performer. Rebecca and her husband moved back to Oregon in 2007. 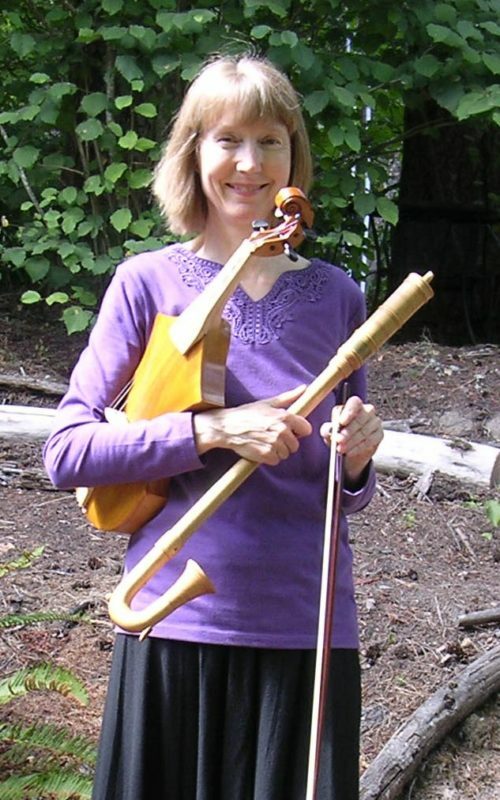 Currently she performs and teaches in Sisters and environs, and is on the faculty of the Cascade School of Music in Bend. At the retreat she functions as Logistics Director, and especially enjoys leading sessions having to do with improvising and arranging. 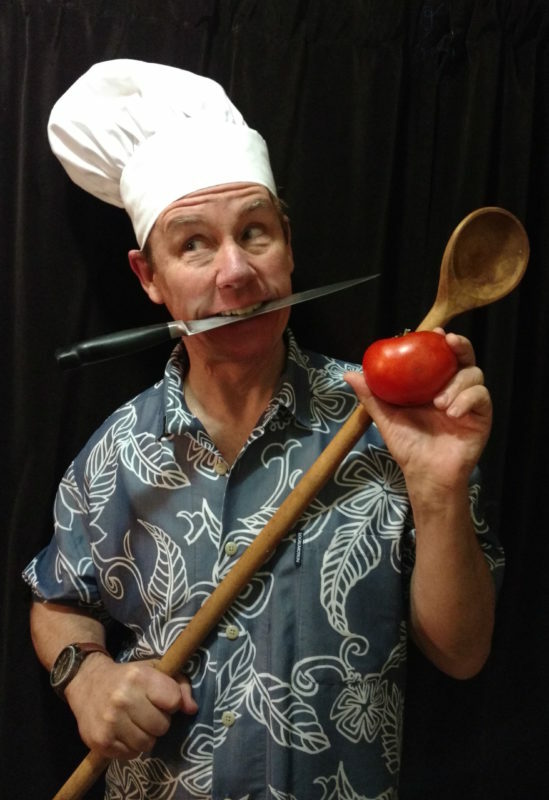 Chef Randy Smith is a resident of tiny Sisters, but assembles recipes from around the world and prepares foods that keep the metabolisms of our attendees well-stoked and their attitudes cheerful and energetic. From the first moment you arrive mouth-watering smells waft from the kitchen and promote your sense of well-being. 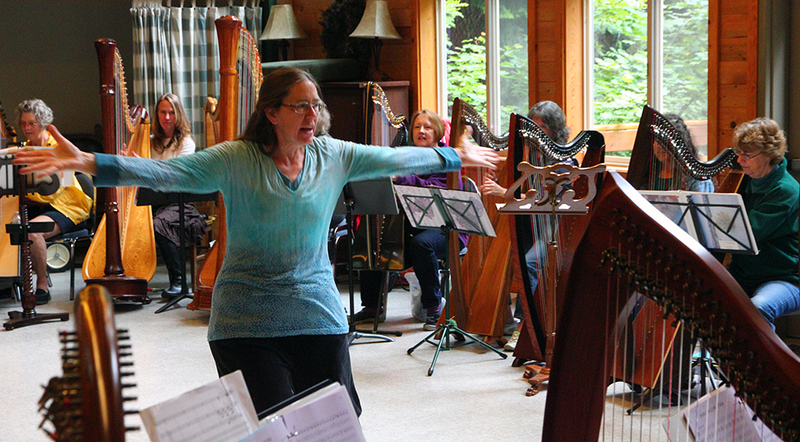 The High Cascades Harp Retreat is distinguished by the idea of “retreat”- the staff provides an atmosphere of both stimulation and reflection, so that anyone attending will leave both refreshed and inspired. Meals are healthy and sumptuous, and sharing meals offers the opportunity to become better acquainted with fellow campers. There is an emphasis on doing well at whatever level of skill each person finds themselves. Both large and small group sessions are offered, and a massage therapist is standing by (sometimes even doing chair massage while a large group session is being conducted). Even the remote location, near a glacially carved lake in the middle of evergreen forest, conspires to promote “retreat”-ing- cell phone service is only patchy on the best of days! Rebecca Smith held her first retreat for harpists with Laura Zaerr as the guest presenter in 2003, at the Pu’u Kahea Plantation on the island of O’ahu in Hawaii. Since moving back to Oregon, Rebecca has combined forces with Laura, who previously had held retreats of her own for many years in LaPine, Oregon. 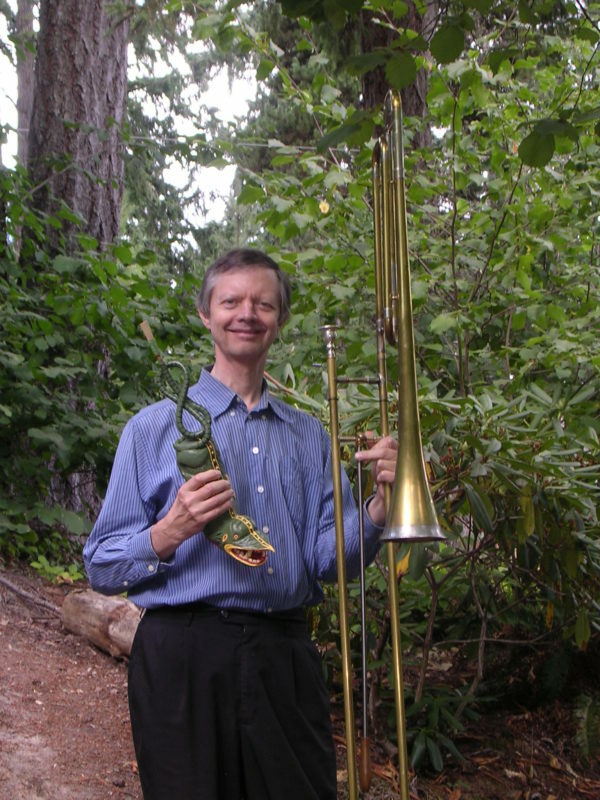 The two have organized a yearly retreat for harpists with various guest presenters at the Suttle Lake Camp in the mountains near Sisters, Oregon, since 2008.